One thing you guys may or may not know about me is that I LOVE anything with a little spice to it and a little kick! 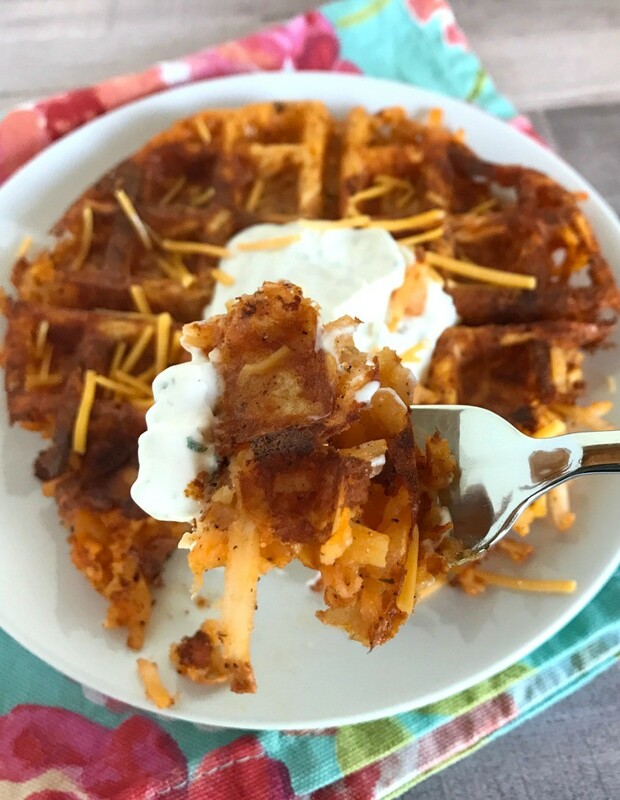 Buffalo is one of our favorite sauces, so I thought it would be tasty to use my new waffle iron and create these super tasty and easy Buffalo Hash Brown Waffles. If you don’t have a waffle iron, I highly suggest getting one–they aren’t expensive and quite honestly…they’re just fun. 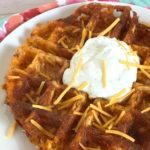 The kids love it when I pull it out and make waffles for breakfast for dessert waffles…they have so many fun uses and this is definitely one of them! If you don’t already have a waffle maker…here‘s a few good options (affiliate links). 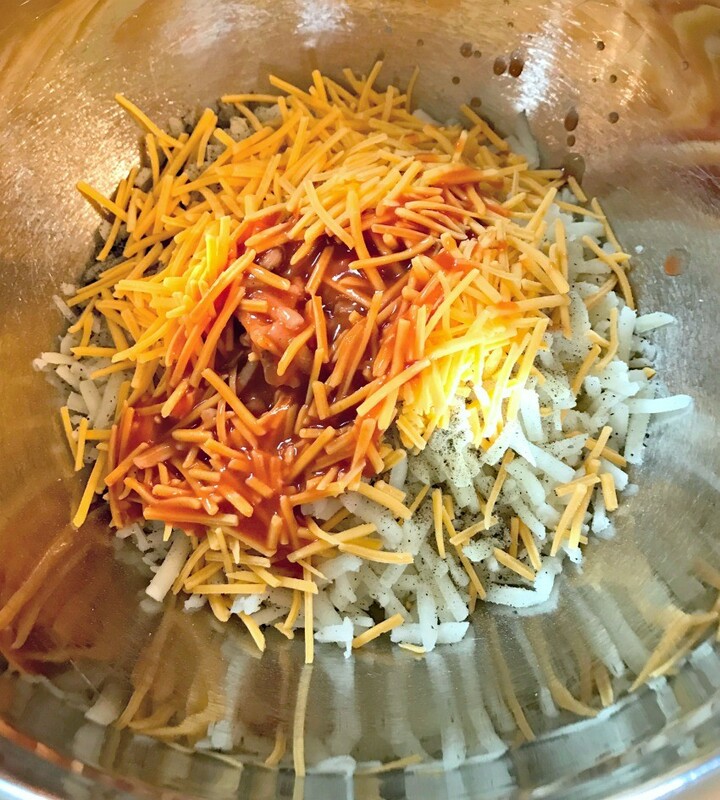 You’ll want to get a large bowl and mix together your defrosted shredded hashbrowns, buffalo sauce, cheese, salt and pepper, and ranch seasoning and mix well. Mix the mixture together well and then get your waffle iron warmed up. 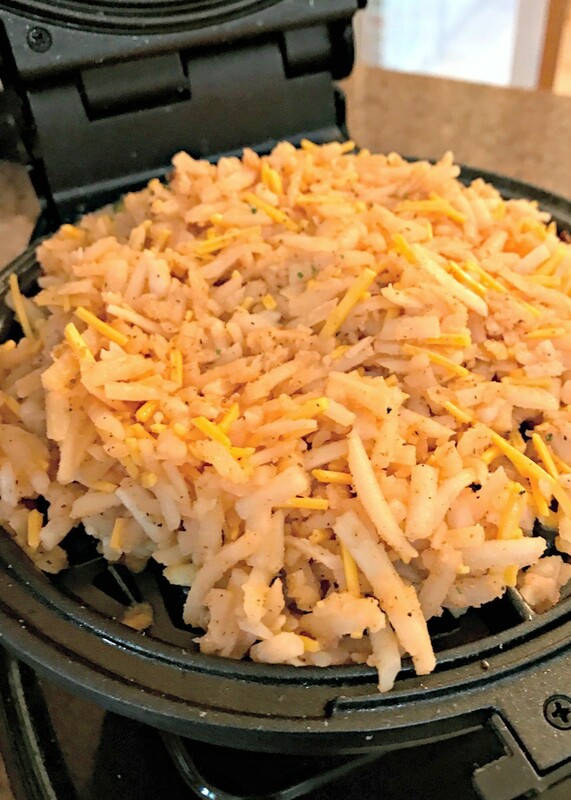 You’ll want to grease it well with butter or non-stick spray and when ready, layer on a THICK layer of hashbrowns…roughly about 1 1/2 cups…it should be hard to close the waffle iron completely, but this will allow the hashbrowns to form into a waffle better. My waffle iron gives a timer for cooking, but I’d say that on average they cooked for about 5-7 minutes. Open them up to check to see if they’re browning nicely, if not, keep cooking until a nice golden brown and holding the waffle shape. 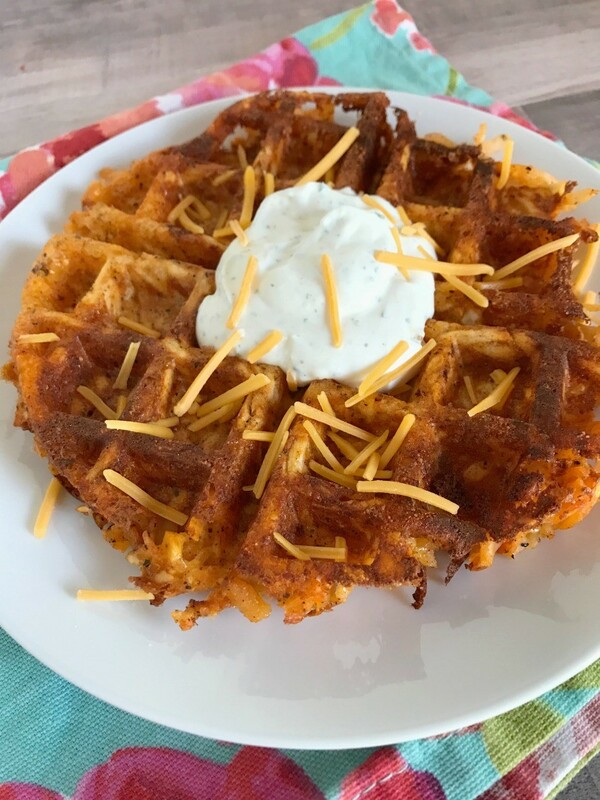 In the meantime, mix your sour cream with some ranch seasoning and that will serve as the topping for the waffle. 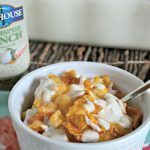 Since the waffle has a bit of a kick, the ranch sour cream will really accent it nicely! Once the waffle is cooked, pull it out and serve warm! It may stick a little, so pull evenly from all the edges and then lift off the iron. 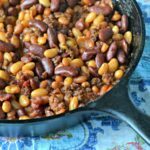 If you like the idea of this, but don’t like as much spice…you can reduce the hot sauce used. 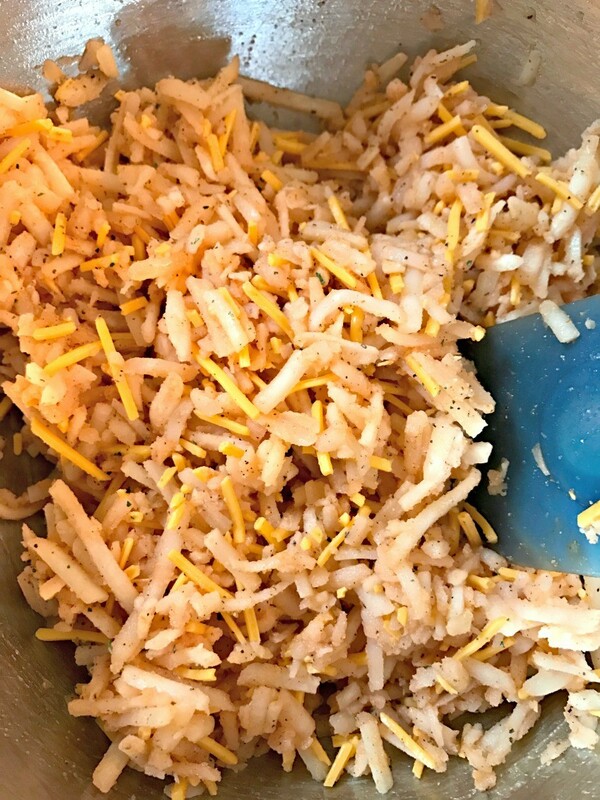 The nice thing about this recipe is that it’s kind of fool proof in what ingredients you want to put in the hashbrowns. 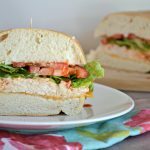 You can add or reduce anything as your tastes desire! I want to try some other mixtures with the hashbrowns next…maybe even make an omelet style has brown waffle!! I’ll keep working on ideas, but in the meantime enjoy this ASAP! 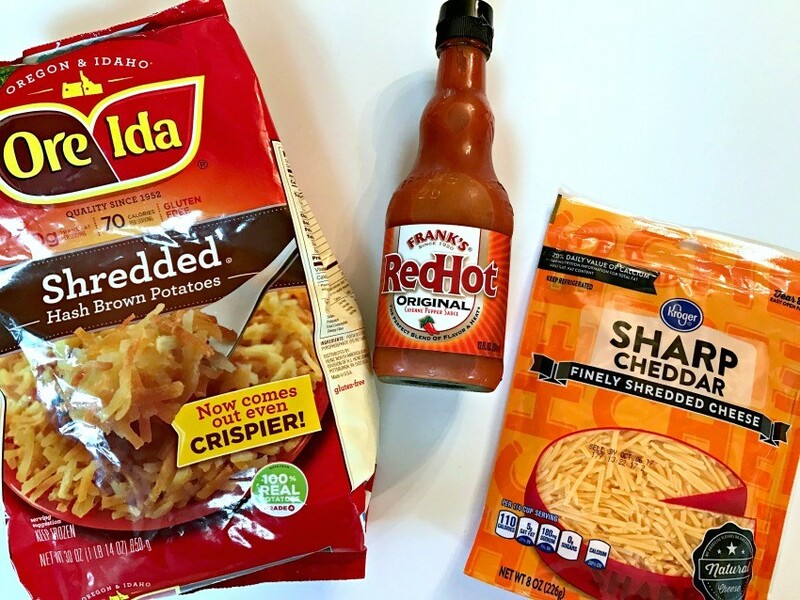 In a large bowl mix together hash browns, hot sauce (add more or less as desired), cheese, salt/pepper, and ranch seasoning. Grease your waffle iron and layer on thick layer of hash brown mix. This recipe should make four waffles, so divide the mixture up evenly. Cook on the waffle maker for 5-7 minutes or until crispy and golden and holding shape. 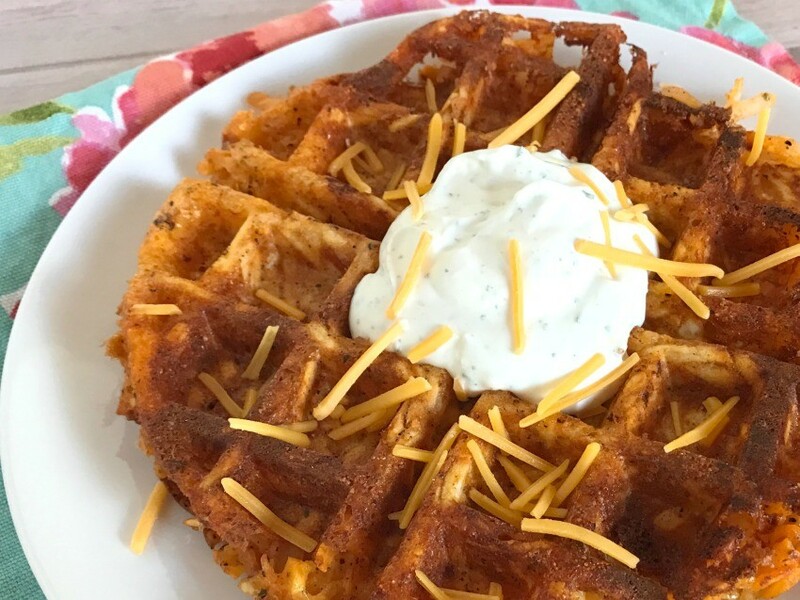 Mix together sour cream and ranch seasoning for waffle topping.